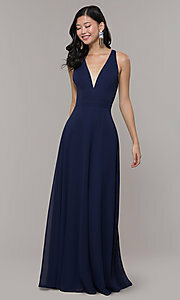 Under $150, this long navy v-neck prom dress by Simply is a fashionable and affordable choice for this year's prom. 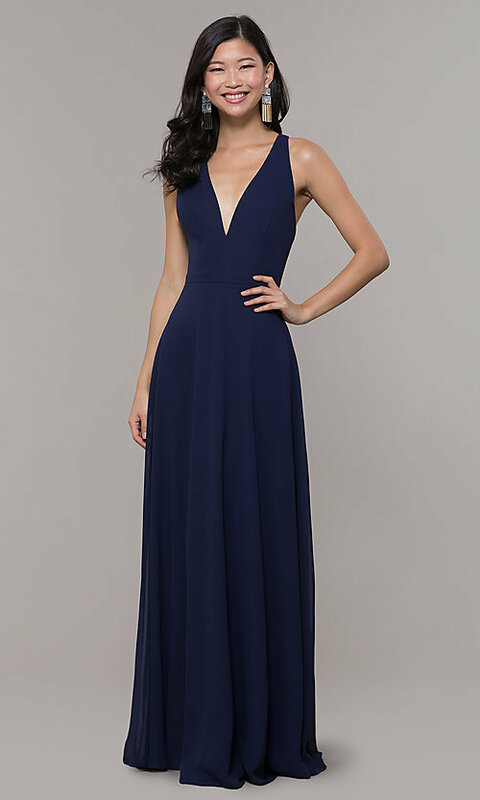 Dark blue chiffon gives the floor-length evening dress a soft a-line shape and a classic appeal with the rich color. The sleeveless bodice features a deep v-neckline that highlights the upper body from the front, while a bold cut out along the back has a similar effect around the shoulders. 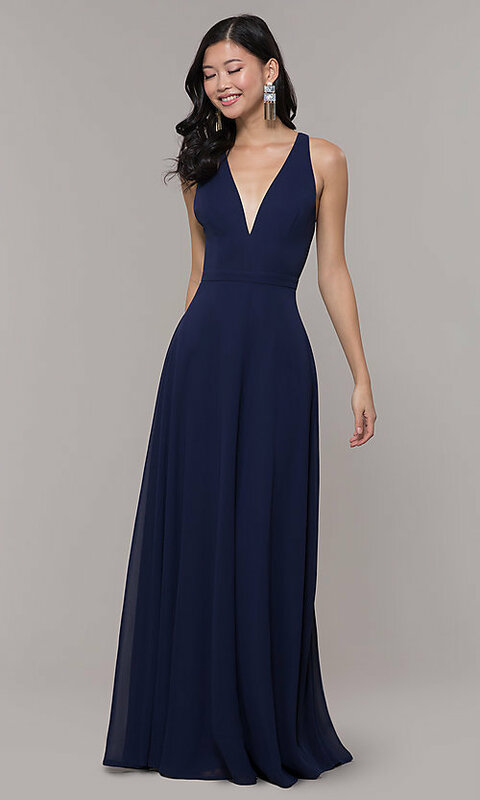 Starting at the natural waistline, the long skirt of this navy v-neck prom dress flows over the hips to the floor and offers additional comfort with a smooth lining.